Powered by the 1.2 GHz Dual Core Processor, the I Kall 3G Calling Tablet with Stand with 512 MB RAM offers quick and superior performance. Moreover it runs on Google Android Version 6.0 Marshmallow operating system that facilitates better and smooth functioning of the device. The large 17.8cm display screen allows you to enjoy high quality images and videos. An internal memory of 4 GB- expandable up to 32GB provide enough space to store all your multimedia files without deleting anything. The connectivity options of the tablet include Wi-Fi,Bluetooth, USB, OTG, FM and 3G. 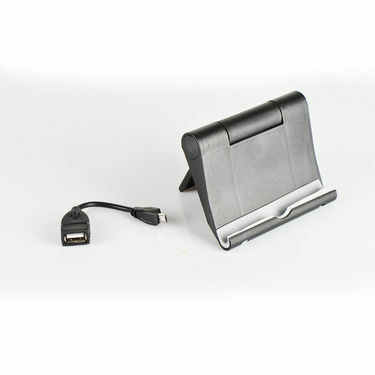 Moreover, it also comes sturdy stand and Accelerometer & Proximity Sensors. Finding a tablet for personal or official ue can be a tedious task as there are various options available today. To pick the best and that too without compromising on features and price, we reviewed I Kall 3G Calling Tablet with Stand. Take a quick look on the phone that will help you pick the best. Display: Datawind Calling Tablet sports a 17.78 cm Capacitive touch screen having a resolution of 600 x 976 pixels providing a clearer and beautiful viewing experience. Battery: The tablet comes with a Li-ion 2500 mAh, 3.7V DC a very good backup with 4 hours of talktime & standby time of 3 days. Additional Features: The tablet supports Social Networking apps to keep you connected with the world. Moreover, it comes with free stand which allows you to enjoy your favorite movies or other videos without any disturbance. Reviewer: We found I Kall 3G Calling Tablet with Stand to be quite impressive as it works seamlessly as a mobile, tablet and laptop and has a great in-hand feel too. Definitely, value for money due to the presence of superior features and that too at an affordable price. 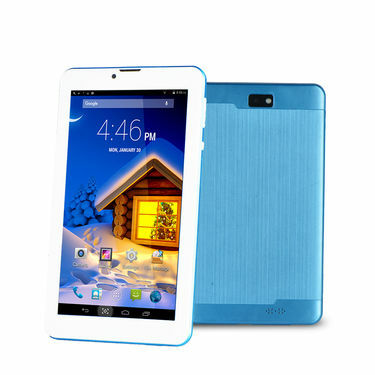 I Kall 3G Calling Tablet with Sta..VSI Kall 3 in 1 Calling Tablet with.. 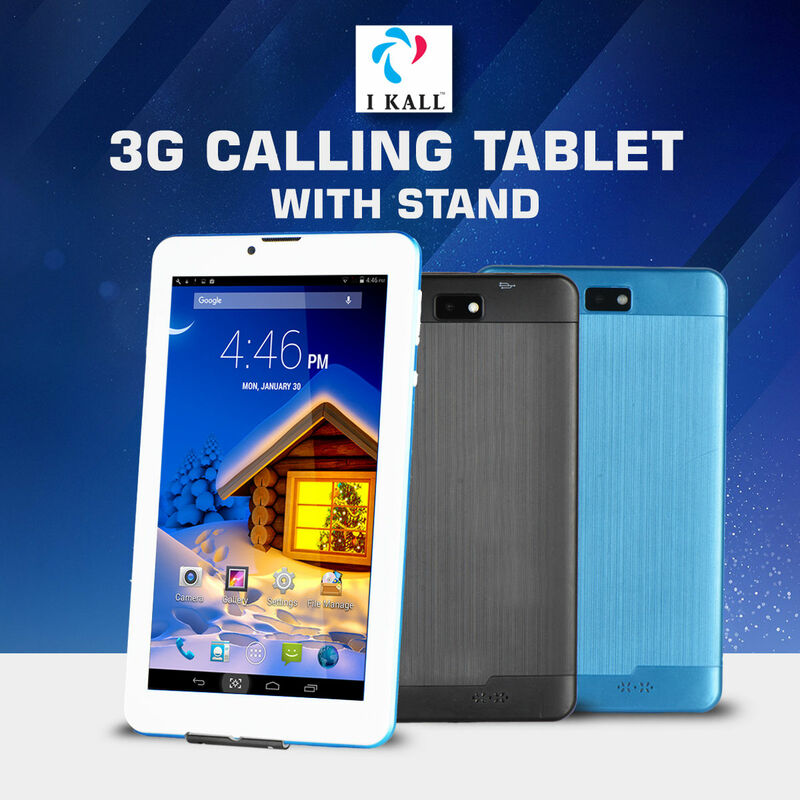 I Kall 3G Calling Tablet with Sta.. VS I Kall 3 in 1 Calling Tablet with.. 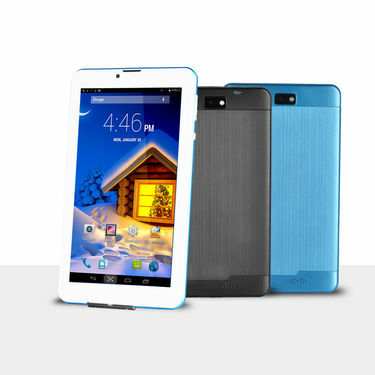 I Kall 3G Calling Tablet with Sta..VSI Kall 4G Calling Tablet with Key.. I Kall 3G Calling Tablet with Sta.. VS I Kall 4G Calling Tablet with Key.. I Kall 3G Calling Tablet with Sta..VSLifePlus Big Screen 4G Calling Ta.. I Kall 3G Calling Tablet with Sta.. VS LifePlus Big Screen 4G Calling Ta.. I Kall 3G Calling Tablet with Sta..VSLifePLUS 4G Calling Tablet with K.. I Kall 3G Calling Tablet with Sta.. VS LifePLUS 4G Calling Tablet with K..